One of the best birding experiences in Kruger is to book an overnighter at one of the two sleep-over bird hides. They are safely enclosed and have barbecue and toilet facilities. One of the best birding experiences in Kruger is to book an overnighter at one of the two sleep-over bird hides. They are safely enclosed and have braai and toilet facilities. Only one party can occupy each hide at a time and bookings are available only for one night per party. A party may take occupation half an hour before the gates close and must vacate the hide within half an hour of the gate opening times. 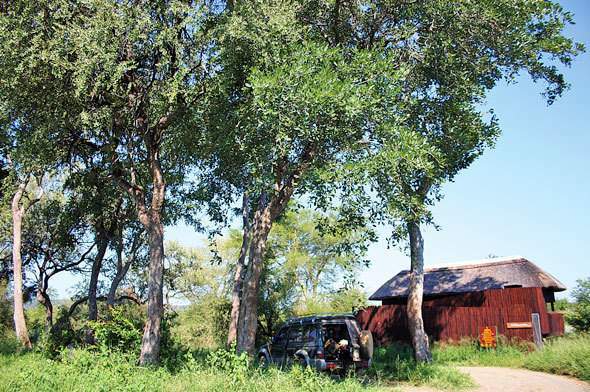 Shipandani Sleep-over Hide is south of Mopani Camp on the Tsendze River. It sleeps a maximum of six. Sable Dam Sleep-over Hide is on the edge of the Sable Dam near Phalaborwa Gate. It caters for a maximum of nine people. Mattresses, bed linen and basic cutlery and crockery are available for these hides - for Shipandani at Mopani Camp, and for the Sable Dam Hide at Phalaborwa Gate. The Lebombo 4x4 Ecotrail is rated as one of the best in southern Africa due to its diversity of fauna and flora. The 500-km route from Crocodile Bridge to Pafuri Picnic Site follows the gravel roads along the rocky Lebombo mountain range that separates Kruger from Mozambique. A Park ranger leads the party, which is limited to a maximum of five vehicles - only four-wheel drives are permitted. The trail offers some of the best views in the Park over the eastern lowveld and the Mozambique coastal plains and the overnight camping is in unfenced areas. The route is not particularly demanding yet allows one access to some of the wildest parts of Kruger, such as the unique Bangu Gorge near Olifants. The trail takes in Crook's Corner and the Luvuvhu River drive. Each party must be self-sufficient in terms of water, fuel, tent, cooking equipment and food. The convoy leaves Crocodile Bridge every Sunday and arrives at Pafuri Picnic Site the following Thursday. During the trip, stops are made at Lower Sabie, Olifants and Shingwedzi for shopping and showering. Stops in the bush are at the ranger's discretion. Among the birds that are likely to be seen on the trail are the Giant Kingfisher, Mocking Cliff-Chat, Bennett's Woodpecker, Black Cuckooshrike, Levaillant's Cuckoo, Black-chested Snake-Eagle, Purple-banded Sunbird, Lesser Jacana, Dark-capped Yellow Warbler and Bearded Scrub-Robin. A good reason to do the Lebombo 4x4 trail is to try and chalk up a Twinspot sighting. 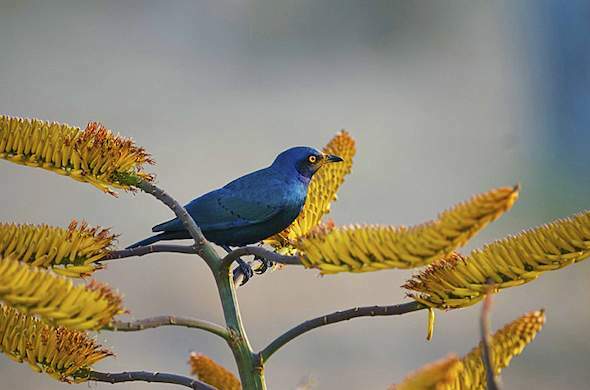 These shy, but colourful birds are generally restricted to the N'wambiya sandveld in north-east Kruger, which is not accessible to the general public. Twinspots have distinctive, white-spotted underparts, but are hard to see because they like to stay within the dense cover of foliage. 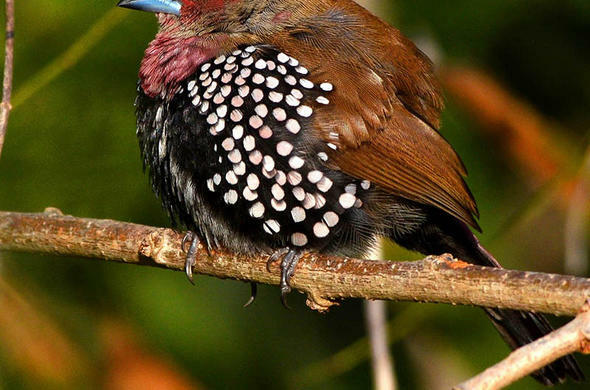 The more common of the species is the Pink-throated Twinspot, of which Roberts VII estimates there are 80 000 birds in southern Mozambique, some of which stray into Kruger across the Lebombo. 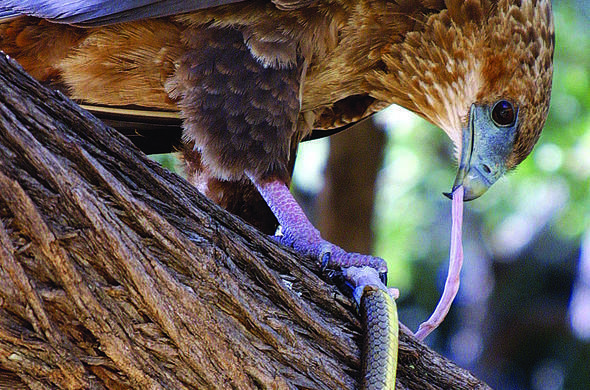 It warns that the species is under threat from human encroachment and the cage bird industry. Roberts VII estimates that approximately 2 000 Pink-throated Twinspots are exported from Mozambique every year to satisfy this market. The Green Twinspot, an escarpment bird, is even more marginal - it is rarer than an honest politican - with an estimated 250 adult birds in Kruger and perhaps double that number in Mozambique.The Green Twinspot is an astoundingly early breeder - it begins searching for a mate at only 10 weeks old, before it has even shed its juvenile plumage.